All aid agencies dealing with crisis situations face many challenges. However, when deploying services in remote areas, this is especially true. Those challenges can include limited resources and often minimal or no infrastructure in place. 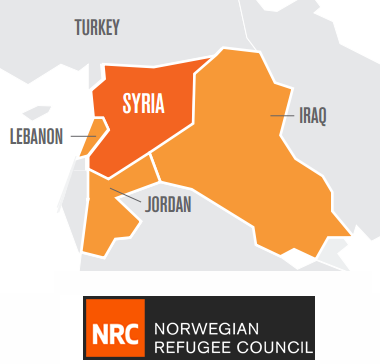 The Norwegian Refugee Council (NRC) is the lead partner of the Office of the United Nations High Commissioner for Refugees (UNHCR) in providing shelter and basic household items in Jordanian camps. We were impressed with how the NRC rose to the above challenges when implementing cash-value mobile voucher programs at the Za’atari and Azraq refugee camps in Jordan. Their innovative thinking could prove helpful in similar situations globally. This could be true for refugee management or for other crisis situations, including epidemics and natural disasters. Roger Dean, the cash and voucher coordinator for NRC Jordan, created a database of unique voucher IDs and embedded those IDs within QR codes (a special 2-D barcode). He then printed the vouchers, each with a unique QR code. He then deployed Android smartphones to track voucher distribution and their subsequent use at these camps. He used codeREADr’s web services to host the mobile voucher tracking database and the codeREADr app to validate and track voucher use in real-time. Remember, in areas where there’s no internet connectivity, the codeREADr app can validate against a database stored on the device, too. What’s so special about this mobile voucher tracking? Consider that Mr. Dean put this successful program together in just a couple of months using a printer, a handful of smartphones, and the codeREADr app. That’s impressive. What are the benefits to the refugee population? According to an NRC policy brief, “The move to a cash and voucher system provides refugees with greater choice, flexibility and transparency through their ability to choose what basic items their household needs and when to shop rather than having to attend often-crowded distributions at set times and receive specific items. Congratulations to the NRC Jordan team and best wishes for your continued success! Thank you for the opportunity to be of service!